It has a 5.2-inch display, which has a resolution of 1,280 x 720 pixels and 400 nits brightness powered by 64-bit MediaTek MT6737 quad-core processor with 1GB of RAM and 16GB of internal storage, which is expandable up to 32GB using a microSD card. On Camera, it has a 5-megapixel Rear snapper with f/2.2 aperture and also a 5 Megapixel front camera. There is also support for Bokeh effect in the imaging department. Dual SIM smartphone runs Android 7.1.1 Nougat out of the box connectivity options include 4G VoLTE, Wi-Fi, Bluetooth, GPS, USB OTG, 3.5mm audio jack, and a micro-USB 2.0 port.Packed with a 5,000mAh battery, which is rated to deliver 27 hours of talk time and lasts up to 500 hours on standby. The device comes with support for reverse charging, which allows users to other smartphones and devices via USB OTG. 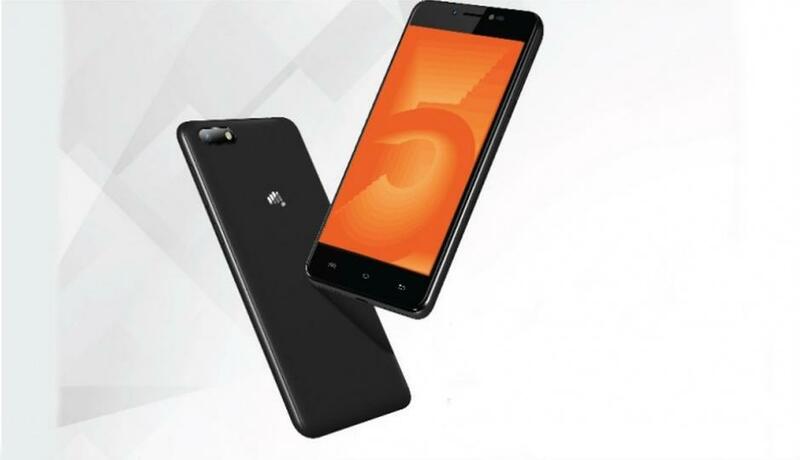 Micromax Bharat 5 will be available in Black hue color and is priced at Rs 5,555 available starting December 7th. Vodafone is offering 50GB of data free with the handset as part of the launch offer.